Not only is this one of the most affordable 4K monitors we’ve ever seen (and IPS to boot), it’s also one of the only ones out there that can run off a single USB-C cable connected to your computer. On compatible Macs (the product page includes a list) and certain PCs, a single included USB-C cable handles your video output, allows data transfer to the USB-C hub on the back of the display, and provides power to your laptop. It’s a minimalist’s dream! 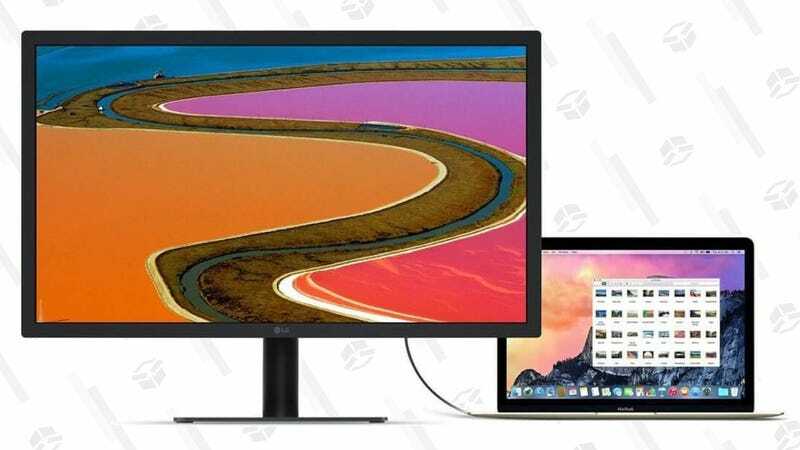 As long as your machine has a compatible USB-C Thunderbolt 3 port, this is an absolute steal at $185, even refurbished.